Portland Paint company, Kemper Drywall, can assist you with any type of paint project. 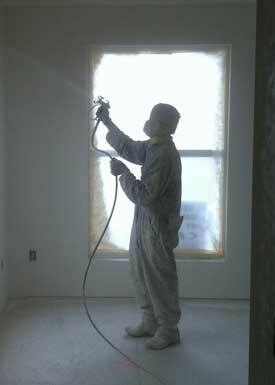 Our paint crews have the experience to paint drywall without joint flashing or joint banding. Having one contractor for both trades is advantageous, as you eliminate conflict between the Portland paint contractor and drywall contractor. Other than drywall, we paint millwork and exterior. So there is no need to get a separate contractor for those areas. We save our builders and homeowners from having to hire multiple contractors. Has Kemper Drywall Performed Painting Work For You? How Did We Do? Please Tell Us! Kemper Drywall proudly serves the following areas: Portland, Vancouver, Lake Oswego, Tigard, Salem, North Plains, Lincoln City, Hubbard, Wilsonville, Hillsboro, Eugene, Hood River, Beaverton, Bend, Woodburn, McMinnville, Dallas, Monmouth, Tillamook, Seaside, Albany, Corvailis, Longview, Astoria, Molalla, Silverton, Keizer, Estacada, Scappoose, Camas, Washington, Multnomah, Clackamas, Marion, Clark, and southern Oregon.